Polystichum acrostichoides.growth form with sporophylls.M. B. Gargiullo. 6/2015. 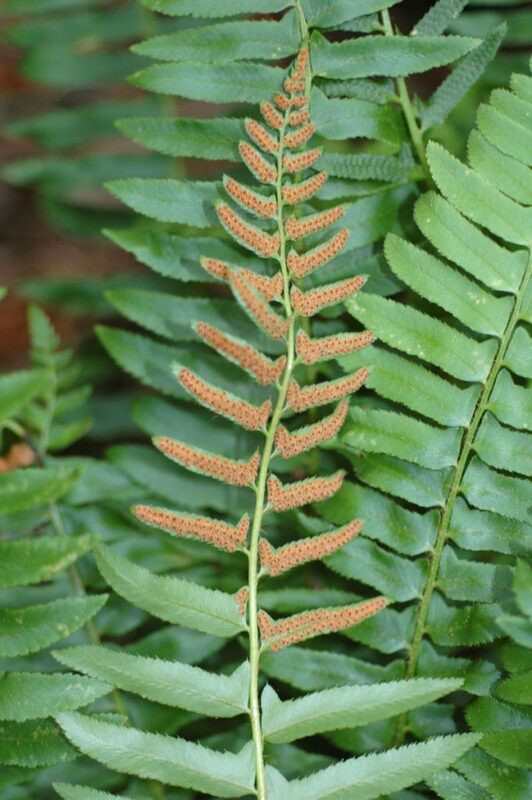 Polystichum acrostichoides is a fern from a short rhizome. Leaves tufted, evergreen, 30-75 cm long, stalk much shorter than blade; blade 5-12 cm wide, once pinnate, leaflets alternate, 20-35 per side, upper surface leathery, dark green, lower surface pale, scaly-hairy, lobed at base on upper side only; erect when young, becoming prostrate later in season, after frost. Polystichum acrostichoides. spores on upper leaflets. Copyright © 2009 by D. L. Nickrent. phytoimages.siu.edu (Accessed 4/2017). Spore cases forming a dense row along each side of midrib on narrowed leaflets at tops of fronds; June-July. Habitat: Understory of moist, undisturbed forest, shade tolerant, usually on slopes where leaf litter does not accumulate, spreads very slowly. New plants produced on patches of bare soil (Gargiullo, personal observation). 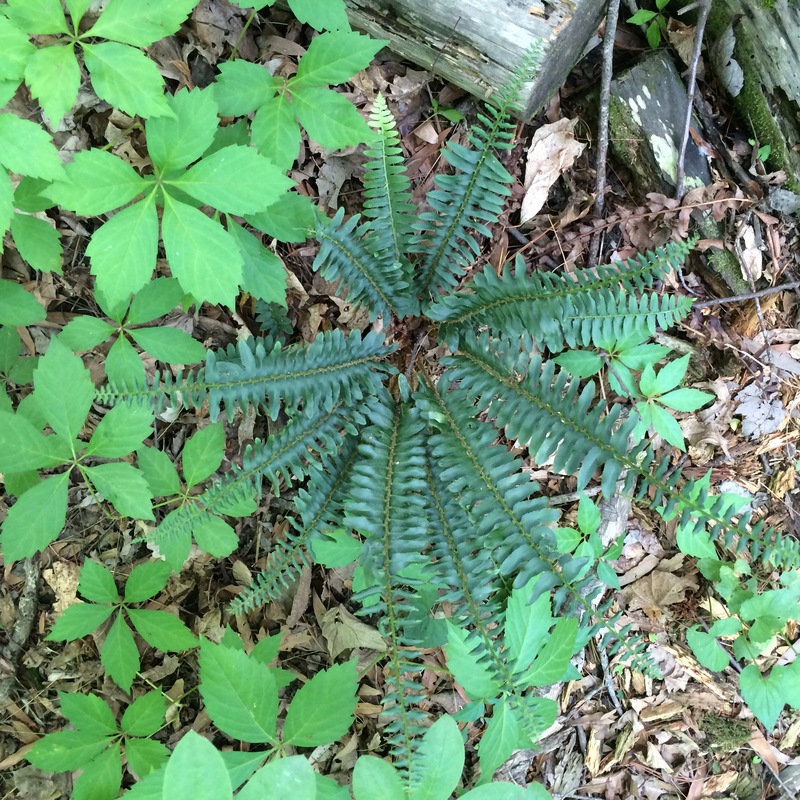 Notes: Leaves expand in April-May, before canopy closure and fern continues to photosynthesize during mild winter days, they die as new fronds expand the following spring, dead fronds persistent on rhizome (Minoletti and Boerner 1993). Apparently not eaten by anything (M. Gargiullo personal, observation).